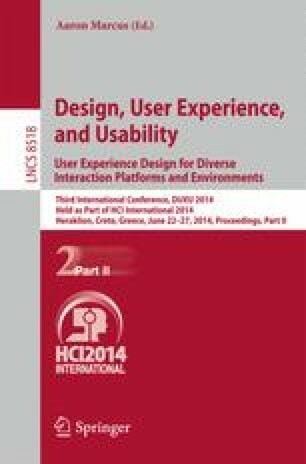 This paper presents an experience-centered web design model. This model was constructed identifying a series of heuristics that characterize the quality of experience. This series was the start point to select a set of variables that could be used to design the user experience. Thus, user experience is designed using variables such as: challenge, focused attention and clear goals and feedback. These variables were analyzed in terms of the three dimensions of user experience which were established from the literature review: emotional, functional and aesthetics dimensions. This analysis was used to create a model for an experience-centered web design. In addition, this paper suggests that this model can be used in different applications of experience-centered design.